The Icom IC-7300 vs. WinRadio Excalibur: Which do you prefer? In the past, receiver shoot-outs in which I’ve provided sample audio for “blind” comparison––meaning, the listener does not know which audio sample is associated with which radio––have produced particularly positive feedback from Post readers. So I’ve decided to do this for the new Icom IC-7300 transceiver. 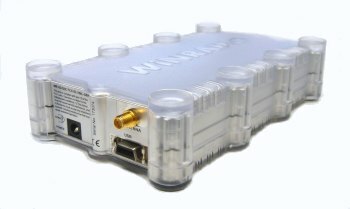 I’ve pitted the ‘7300 against a benchmark receiver: the WinRadio Excalibur. 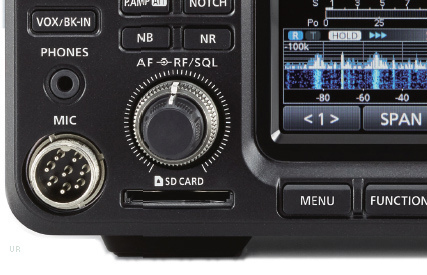 I have a number of SDRs (software defined radios) in the shack at the moment, but I picked the Excalibur because it’s the closest in price ($900 US) to the IC-7300 ($1500) as compared to my Elad FDM-S2 ($520) or the TitanSDR Pro ($2500). Both the WinRadio Excalibur and the Icom IC-7300 offer native digital audio recording (nice touch, Icom!). The Excalibur simply records the AF to a file on my PC’s hard drive, while the IC-7300 records the audio to an SD card which I can later transfer to my PC. I’ve been using the Excalibur since 2012, so I’m very familiar with its recording feature. I was not, however, familiar with the IC-7300’s digital recorder, so prior to making recordings, I checked to make sure its recorded audio was a fair representation of its live audio. To my ear, the IC-7300 recorded audio was nearly identical to that of the live audio, so I used the 7300’s internal recorder rather than one of my external recorders. In each case, I tried to set up both radios using the same filter widths, gain, AGC settings, and (as much as possible), audio level. I didn’t engage a noise-reduction feature on either rig. Note: the only exception to the radios’ equal treatment was in the AM mode recordings, in which I used the WinRadio’s AM Sync (AMS) mode. Why? Frankly speaking, 99% of the time during which I use the Excalibur, I do employ its AMS mode as its AM mode often sounds “hot” and over-driven when band conditions are as noisy, as they were last night. The IC-7300 does not have AM synchronous detection (AMS mode), but I felt it compared very favorably to the Excalibur in AMS mode. The IC-7300 would have easily beat the Excalibur in this test had I only used the Excalibur’s AM mode. In the end, as a shortwave listener, the goal is to compare the total capabilities of broadcast performance between the two receivers (thus using sync mode if available, to maximize broadcast listening performance). At the end of this post, I have an embedded a survey in which you can vote for the sample recordings you like best. Each recording is clearly labeled to denote that it’s either from “Radio A” or “Radio B” (I had my wife draw names from a hat to determine which radio would be labeled as A or B). Since there are quite a few recordings, I’d suggest jotting down your notes separately before completing the survey. Or, alternately, you can open the survey in a separate window by clicking here. The following recordings were made on the 40 meter ham radio band yesterday evening. Both radios have the same filter width: 250 Hz in CW, 3 kHz in SSB. The following recordings were made on the 31 meter broadcast band yesterday evening. Both radios have the same filter width: 9 kHz and 8.2 kHz. In the “weak” sample, I tuned to 630 kHz, where multiple broadcasters could be heard on frequency––but one was dominant. I’ll close voting at 12:00 UTC on Thursday April 21, 2016. Thank you in advance for your participation in this survey! 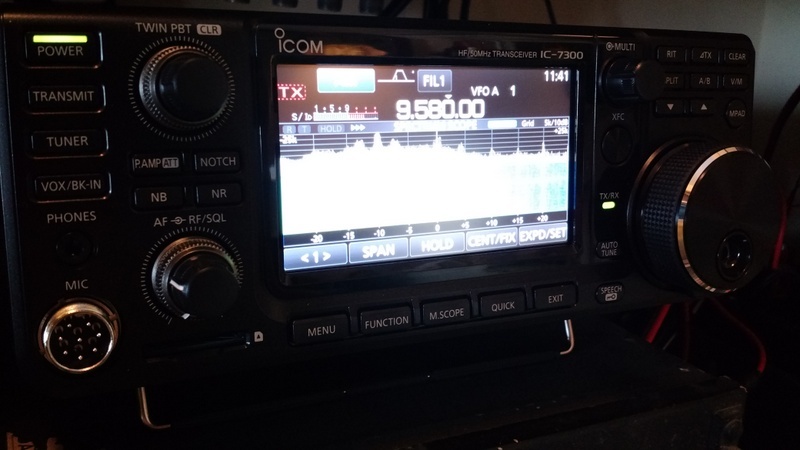 This entry was posted in Ham Radio, New Products, News, Recordings, Reviews, Shortwave Radio, Software Defined Radio and tagged Excalibur, IC-7300, Icom, Icom IC-7300, Icom IC-7300 Shoot-out, Shoot-outs, Shootouts, WinRadio Excalibur on April 18, 2016 by Thomas.